Listen, I'm about to get real. I have always been intrigued by people's elaborate planners. I love the idea of them and being organized. But looking at what people did with them and the time they took to decorate and use stickers and washi tape overwhelmed me and, I won't lie, I secretly mocked them in my head. 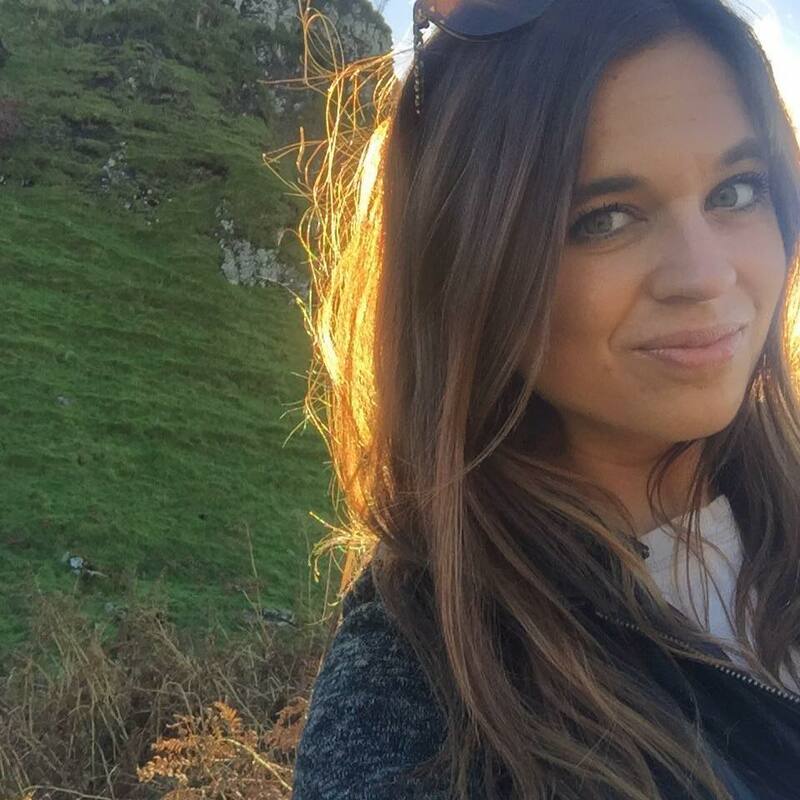 I could never see myself spending the time on them and I always thought it looked like people spent more time writing down their life than actually living it. I am here to say for about the fifth time in my life...I was wrong. The main reason I love this new planner life is that it's simple. I am all about the path of least resistance and I have learned to use the planner to my benefit and not my hinderance. I write down errands I have to do on my weekly to-do list, goals I have for the week, meetings for work, books I've read, whatever! I love being able to look back on days "I did nothing" and see that I really did do something. Whether it be errands or what book I read or what show I was watching. Hannah also gave me the amazing idea to write down three things I'm grateful for every day which I use the final box per day for and being able to reflect on each day also makes me feel very centered and present. With how crazy and busy life can get, I really appreciate being able to take a moment to reflect on each day and write down what I'm grateful for and put that out into the universe. With that note in mind, the other thing I love about it is that it keeps me accountable. To me, if I write something down I'm committed to it. I make weekly fitness goals for how many times I want to work out and what I'll do and while in the past I might talk myself into blowing off a day, when I write it down, I mentally know I can't. It makes me feel way more in control of things I'm motivated to do in the beginning of the week that may fall by the wayside by the end of the week. I love, love, love this! Another thing I love is making it unique to me. As you can see in the pictures, I added photos, favorite book quotes, travel photos, things to motive me and make me smile every time I open it. I love that this planner has a very unique sense of me and what I've added to. I've also realized how easy it is to incorporate stickers and washi tape and IT'S FUN! I love looking for cute coffee stickers to add in or fun To-Do list stickers or a relevant quote or motivational saying to throw in. Seriously, it's so, so easy and if I can do it, you can do it! 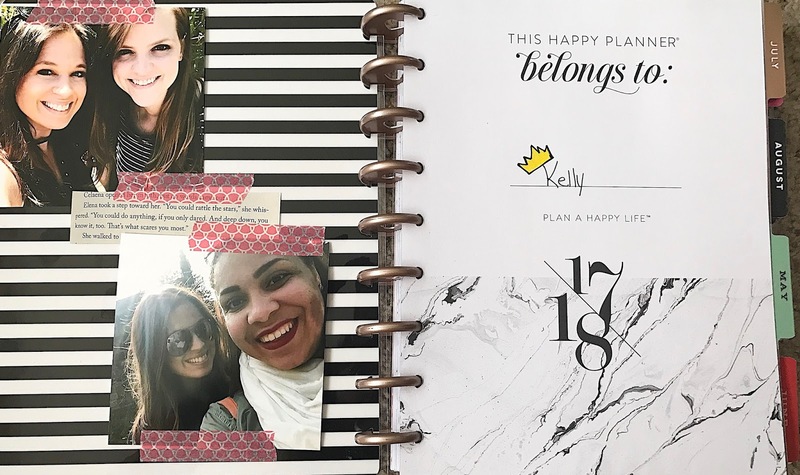 I'm actually thinking of buying the largest size of the Happy Planner to make it like a scrapbook to print out pictures of what stuff I did that week or books I read and have an ongoing and super simple scrapbook to add to and look back on, I'm really excited about this. As if the planner life wasn't enough of a life adjustment for me, I also very happily succumbed to the traveler's notebook life. I've been wanting one for a little while but couldn't find a cost-effective dupe alternative until Hannah found one for me at JoAnn's! Woot woot! I love mine! I always carried around a few notebooks with me but this makes is to much more consolidated AND fun! Hannah also made me an adorable folder and I bought an organization packet from random supply stuff and it has come in SO HANDY! I love throwing receipts in there or writing down blog ideas or packing lists or book notes. Love, love, love it! And it's beautiful, have I mentioned that? And like my planner, I love adding my own unique touches. Hannah (dear Lord you'd think she was my life coach or something) gave me the idea to add my favorite book quotes because, duh, she has a Hunger Games quote in hers. She also gave me some laminated quotes she already had. "You are simply wonderful' is courtesy of her and her feelings for me, obvi. I have more than one Throne of Glass and ACOWAR quote throughout my planner and notebook because who doesn't want to be reminded to rattle the stars and the bad won't keep you down? I know I'll be printing out a Bronze Horseman quote at some point in the near future as well. So there you have it! 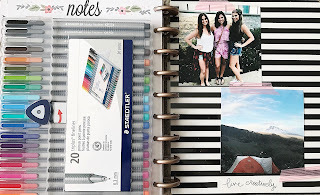 How I was wrong about the planner life and traveler's notebook because it is SO simple and fun and I was wrong. This is an odd feeling for me so don't be too harsh. 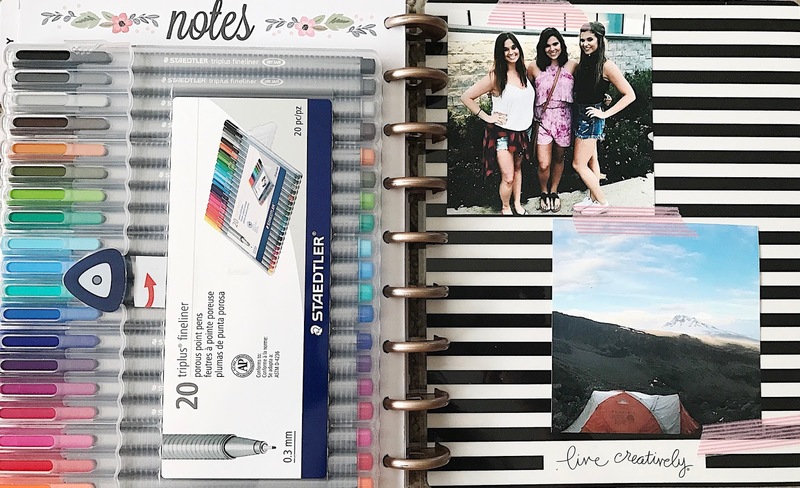 Do you have a planner you ride or die with? What are you favorite ways to use them? Ah I love your TN! I have a LV agenda and a Moleskine bullet journal, but I love to collect beautiful notebooks from May Designs, etc. I'm a stationary JUNKIE! Hannah could totally be a life coach though, I'm just saying.